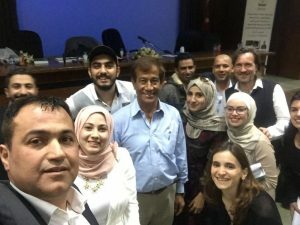 5 April 2017: Upon the invitation of Trans4m Senior Fellow Prof. Adel Al-Rasheed, Yarmouk University, Irbid, Jordan , Prof. Alexander Schieffer, Co-Founder of Trans4m Center of Integral Development, Geneva, Switzerland and Ms Laila Abdul Majeed, Project Lead of the AL HIKMA Initiative of the ASG/BSA Schools of Amman, addressed an audience of about 80 Bachelor and Masters students and faculty of Yarmouk University. The lecture and interactive forum was entitled: “Spearheading Local Global Renewal in Management, Education and Development: The Integral Worlds Approach and Movement”. Opening with a reflection on the inherent lack of inclusion of Muslim, Jordanian and Arab culture in today’s enterprise models, economic systems, as well as approaches to education and development, the lecture discussed the difficulties of institutional and societal renewal in Jordan and the Middle East, if this lack is not purposefully dealt with. Schieffer then provided an overview of Trans4m’s Integral Worlds model and highlighted a selected number of global applications. 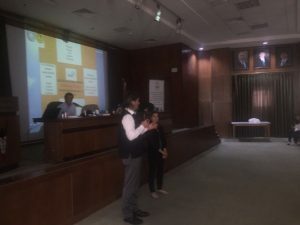 Particular emphasis was given to the transformative processes Trans4m has developed to integrate local context and local culture with a view to building locally authentic institutions, relevant for the particular needs and capacities of a society. Schieffer then introduced Middle Eastern enterprise role models successfully applying the Integral Worlds approach, thereby reinventing their enterprise towards ecological, social, cultural, innovation-based, and financial sustainability in order to make an integral (not only financial and economic) contribution to their societies. 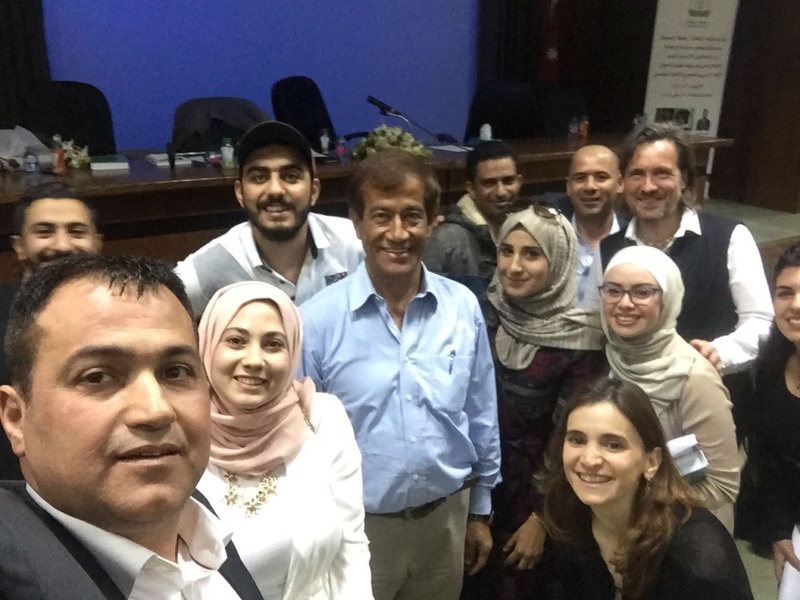 Sekem in Egypt, a hailed Middle Eastern and global role model for Sustainable Development, was discussed, as well as the case of MedLabs, Jordan, the region’s largest Medical Laboratories group. Medlabs Group is in the process of evolving its enterprise design into an Integral Enterprise with a view to actively champion a “Healthy Society” – a visionary perspective that MedLabs defined as its Moral Core. Schieffer explained how uniquely designed educational and research processes are employed to support organisations like Sekem and Medlabs, and many others around the world, on their transformative journeys. As an example for such an enabling process he shared the underlying design of Trans4m’s PhD program, in partnership with the South African Da Vinci Institute. This PhD program focusses simultaneously on local knowledge production in relation to burning socio-economic-ecological-cultural challenges on the ground, and, subsequently, on transformative practice. Trans4m’s evolution of a conventional PhD (Doctor of Philosophy) towards a PHD (Process of Holistic Development) emphasizes the collective dimension in that the lead transformation agent (the participant on the PhD program), activates and works with a collective innovation ecosystem to enable widespread Holistic Development with concrete, transformative impact in relation to the identified issues challenges. 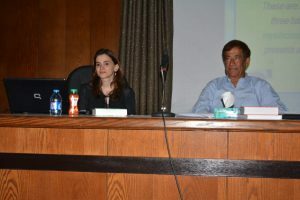 The audience showed particular interest in the potential impact of the Integral Worlds approach for the renewal of education, and Schieffer, Abdul Majeed and Al-Rasheed engaged the audience to critically reflect on the suitability of current educational and research programs and processes in Jordan to effect transformation and social innovation. Prof. Adel Al Rasheed highlighted the systemic challenges Jordanian universities are facing in becoming more relevant for societal renewal, but emphasized that he will continue to champion such transformation at Yarmouk University. 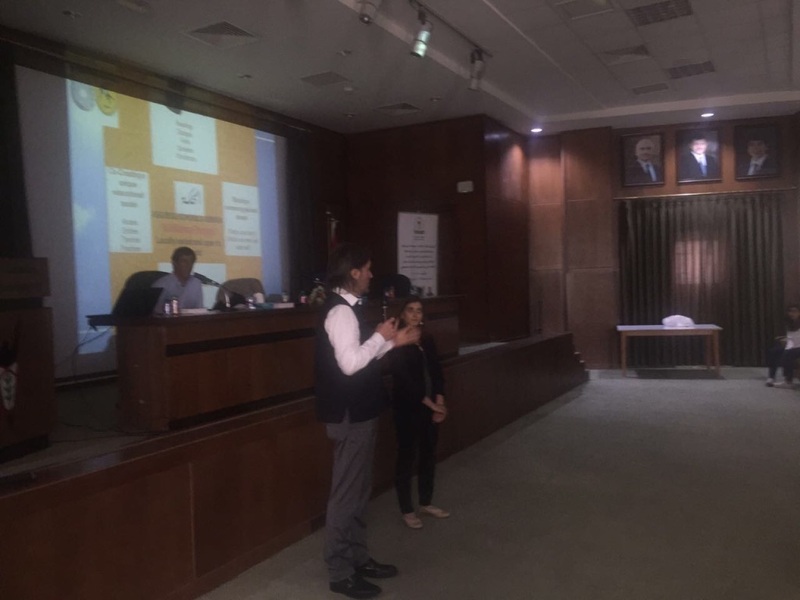 The then following case of the innovative school transformation process that is currently taking place, with Trans4m’s participation, at Ahliyyah School for Girls (ASG) and Bishop’s School for Boys (BSA) in Amman provided a potent local example of educational reform to learn from and engage with. Laila Abdul Majeed, project lead of this transformative process, shared compellingly with the audience the nature and feature of the HIKMA circles that are at the heart of the transformation of both schools. She explained how the choice of HIKMA (“Wisdom”) as a name for the circle, was a purposeful reconnection to the “House of Wisdom” tradition at the Golden Age of Islam under Abassid dynasty during the 8th to 12th century. 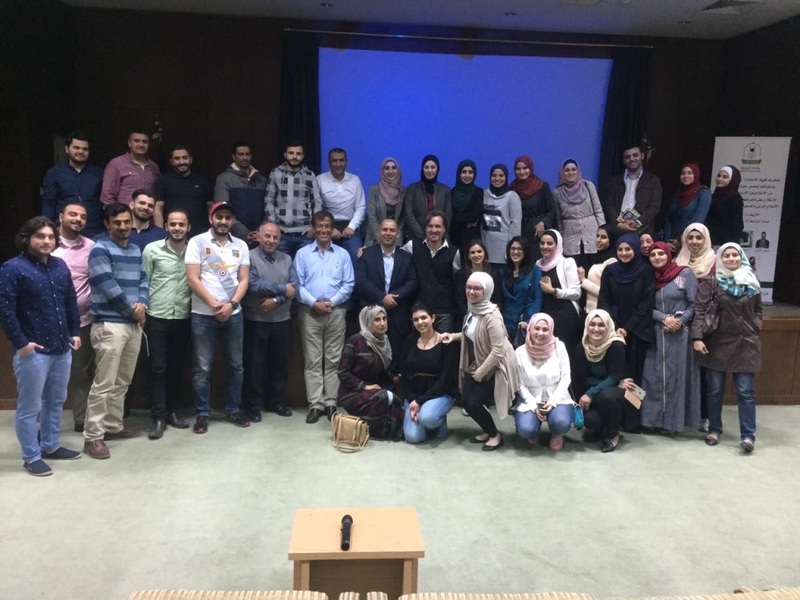 ASG/BSA hold the shared vision of becoming an engaged catalyst for an Arab renaissance, by actively enabling knowledge creation, knowledge sharing and the co-creation of social innovation. The case of Abdul-Majeed, herself graduating from Yarmouk University just a few years ago, caught the attention of the students, who could see their own potential role in engaging in organizational, educational and societal transformation in a much clearer light. 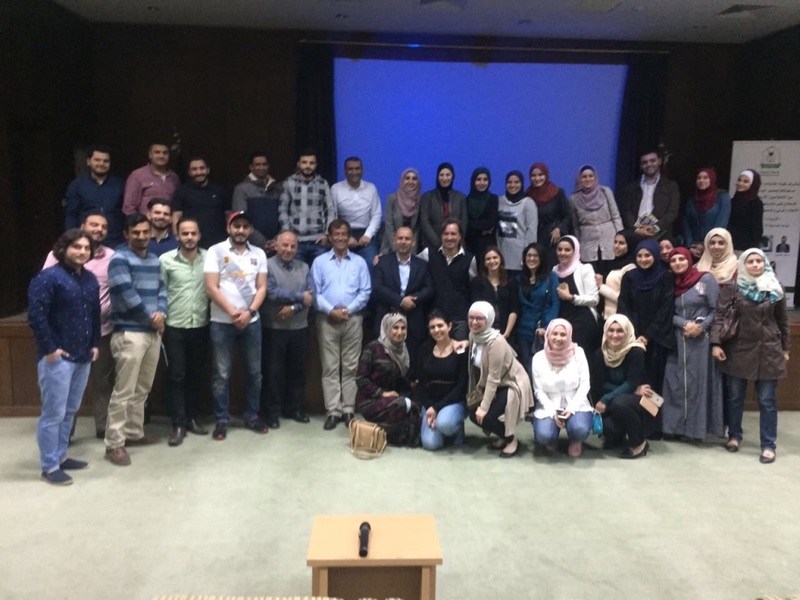 It was decided that a group of Yarmouk University students, together with Prof. Adel Al Rasheed, will soon visit ASG and BSA Schools in Amman, as well as Medlabs Group. 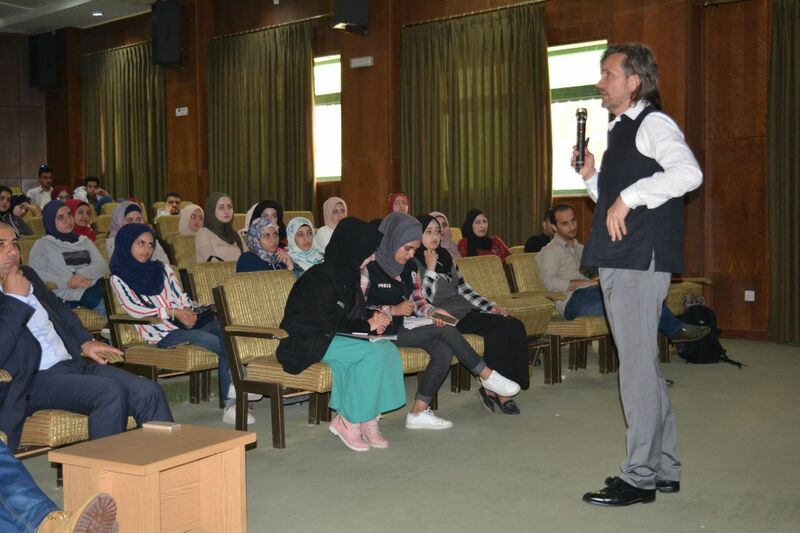 In conclusion, the presentation and discussion reflected the keen interest of Yarmouk students in the Integral Worlds approach and ignited the intention to find ways to work closer with this approach and with local role models actively embracing this role model. 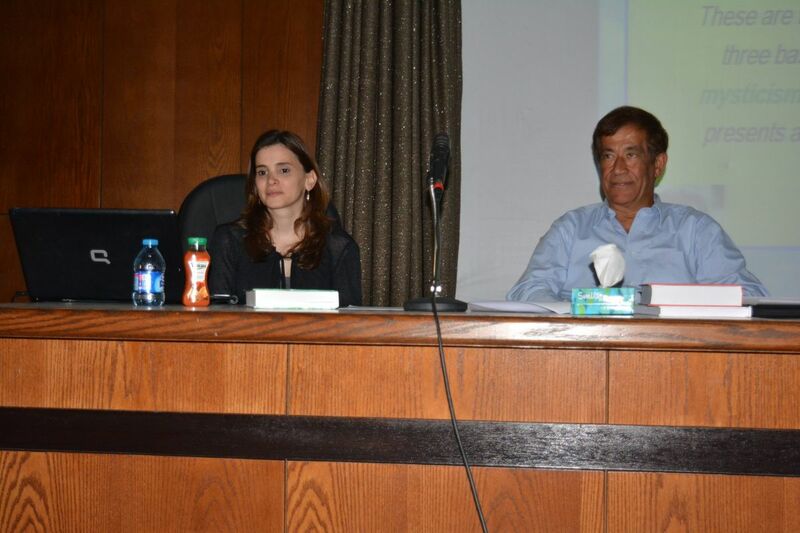 Both ASG/BSA and Medlabs signaled their interest in engaging with students and faculties on this important agenda.